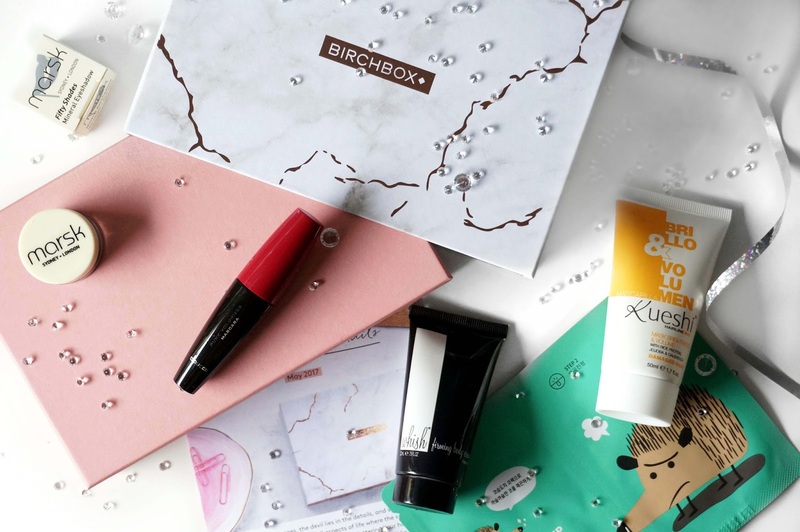 This month Birchbox is every blogger's dream, a beautiful marble effect box with a peachy pink pull out draw. Birchbox is a subscription box that caters to your beauty profile that you create sent to you every month for £12.99 including P & P. This month I received 5 products in my box, so let's get unboxing. 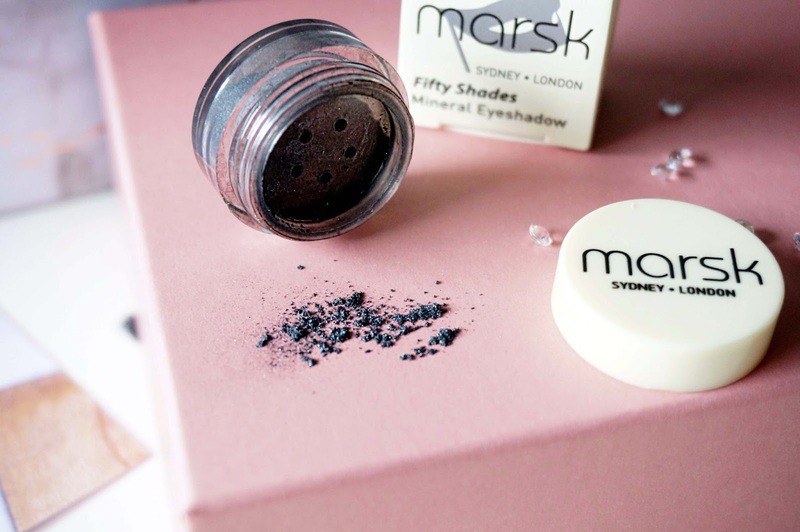 The first item is a Mineral eyeshadow from the brand Marsk. I chose the shade fifty shades which are beautiful gunmetal grey colours. This is perfect to create a smokey eye and has little silver glitter in too. This is made from all natural ingredients and is suitable for sensitive eyes like mine. If you want to build up the colour you can wet your brush to build up the pigment. The packaging isn't fantastic, just a simple twist lids that don't twist very smoothly if you know what I mean. 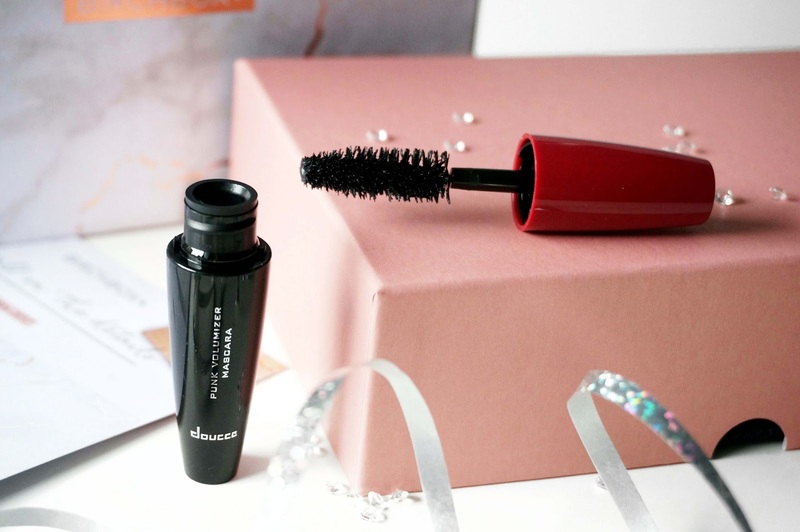 The next item is the brand Doucce which I have never heard for, this is the Punk Volumizer Mascara which has a jumbo fibre wand and claims to coats each individual lash adding volume and thickness. 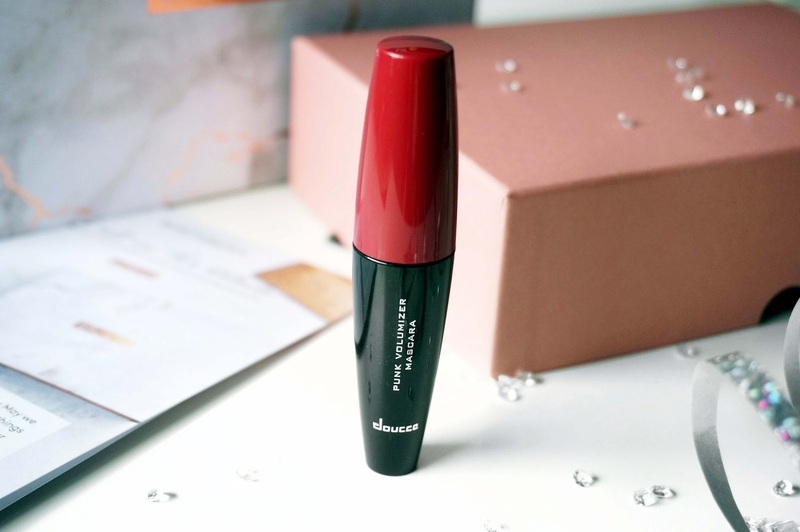 I have to say I have used this and it does volumize and lengthen my lashes quite well but the brush is too big for my tiny eyes so it's difficult to get the product onto my smaller eyelashes. 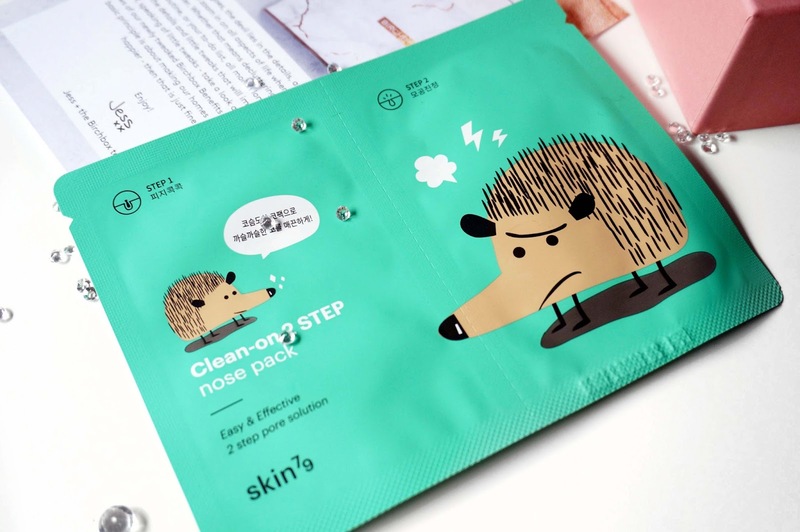 I received the Skin 79 Clean-On 2 Step Nose Pack. Strip 1 is made with oil-zapping charcoal and witch hazel to de-clog pores and Strip 2 soothes with green tea and cucumber. I've very excited to try this Korean product and it has come at the perfect time. I don't have many blackheads but I do have clogged up pores from oily skin. 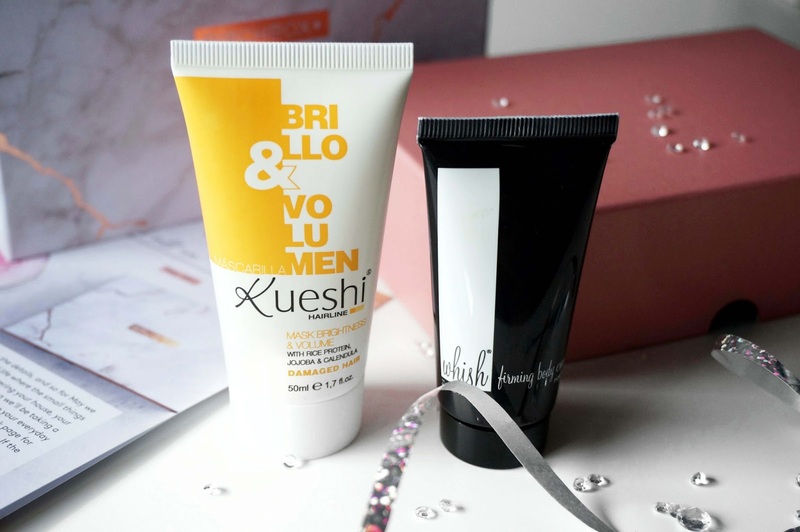 The next item is from Kueshi, a Hair Mask / nourishing treatment containing strengthening rice protein, hydrating jojoba oil and moisturising shea butter to help with shine and hydration. I've tried the brand Kueshi before and have really enjoyed. I love a good hair mask so I'm excited to try this out. The last item is the Whish Firming Body Cream which softens and protects the skin with organic shea butter cocoa seed butter and green tea. It claims to firm and smoothes your skin reducing the blemishes and stretch marks. I am so excited to try this out, I do have a lot of stretch marks and I'm always on the lookout for something to help with that. I've used Whish before and I loved it so much since it really hydrated my skin. That is all for my Birchbox unboxing if you set to subscribe feel free to use my referral link here!